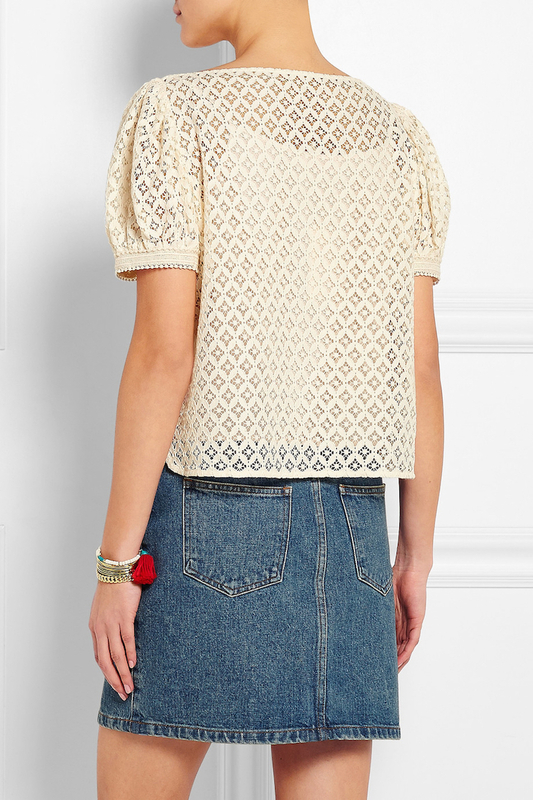 See by chloé's cream lace top is cut for a slightly loose fit - perfect for relaxed spring and summer days. 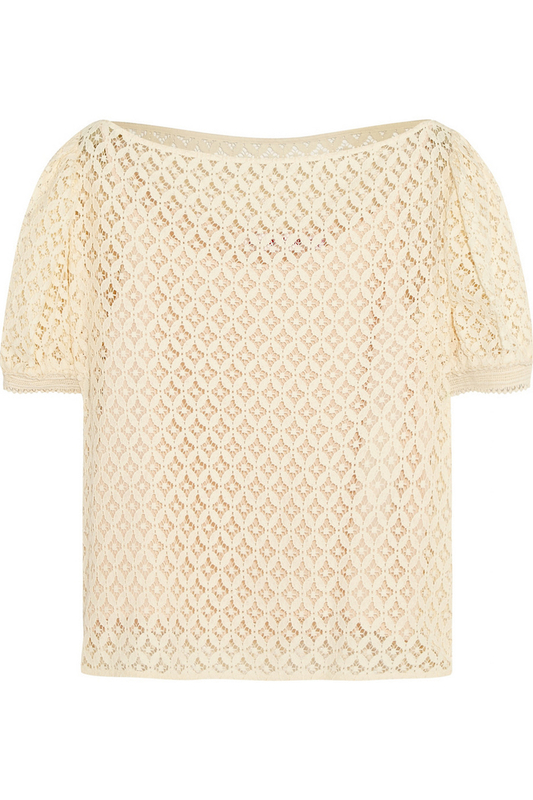 Though sheer, it is fitted with a tonal slip for opacity. 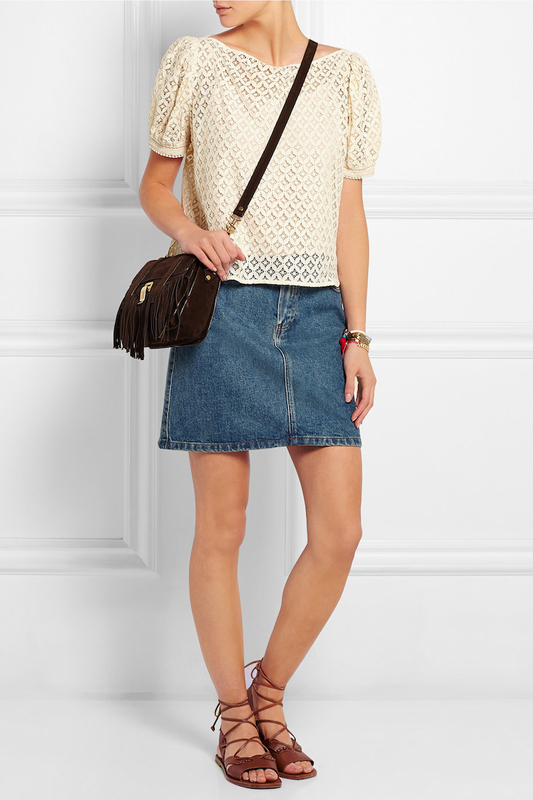 We'll be wearing ours with denim and sandals. 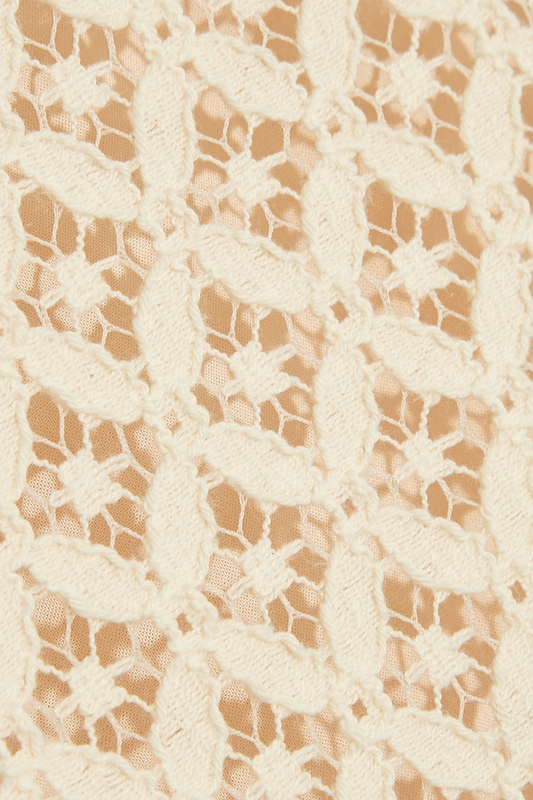 Cream lace. Slips on. 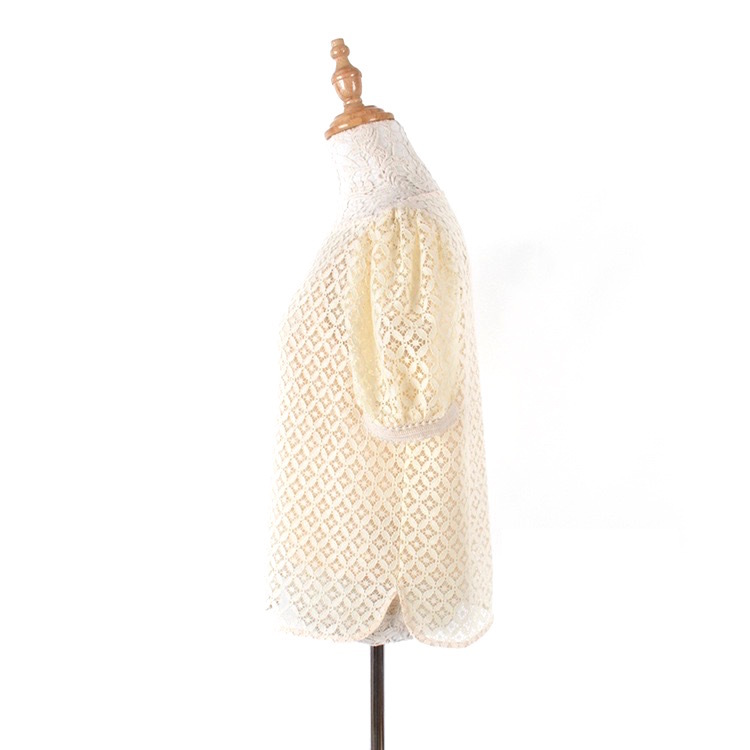 75% cotton, 25% polyester; lining: 100% viscose. Hand wash large to size . See size & fit tab . Fits large to size, take one size smaller than normal. 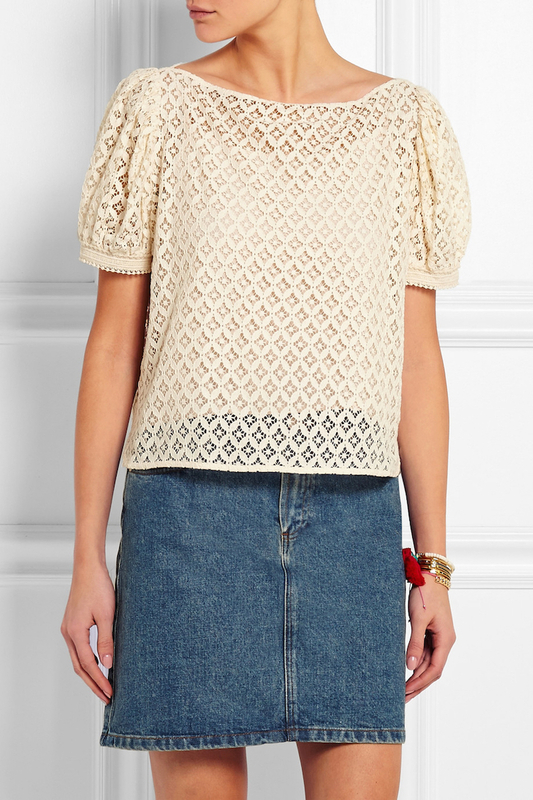 Cut for a slightly loose fit. Mid-weight, non-stretchy fabric.